Scenic Spirit accommodates all of its 68 guests in the utmost luxury and refinement, boasting 34 of the most generously proportioned cabins of any river cruise liner. 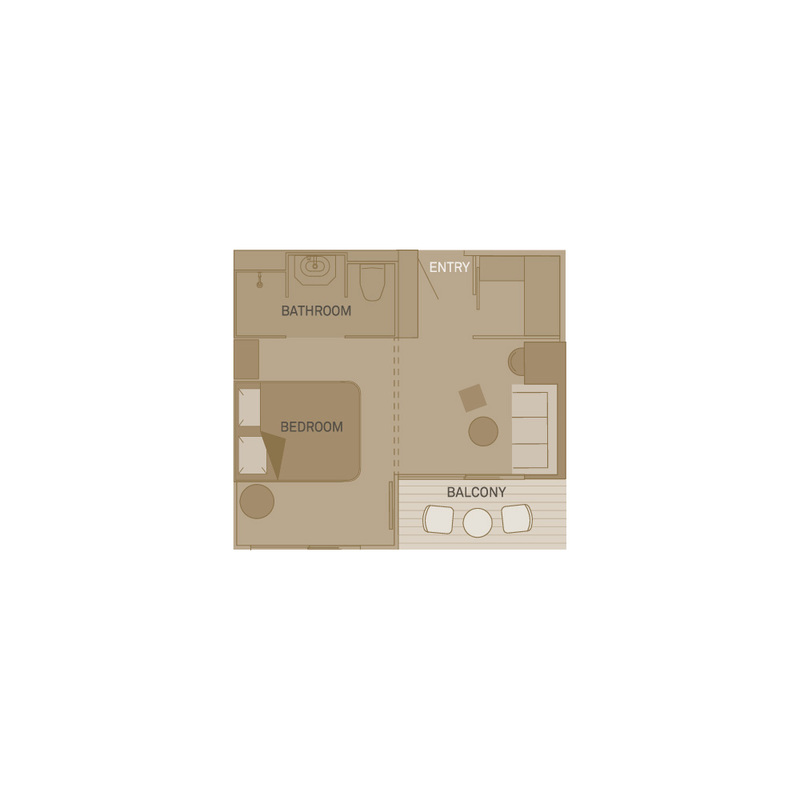 These suites are located on the Diamond, Sapphire and Jewel decks, and each features its very own private balcony, en-suite bathroom and spacious living quarters. 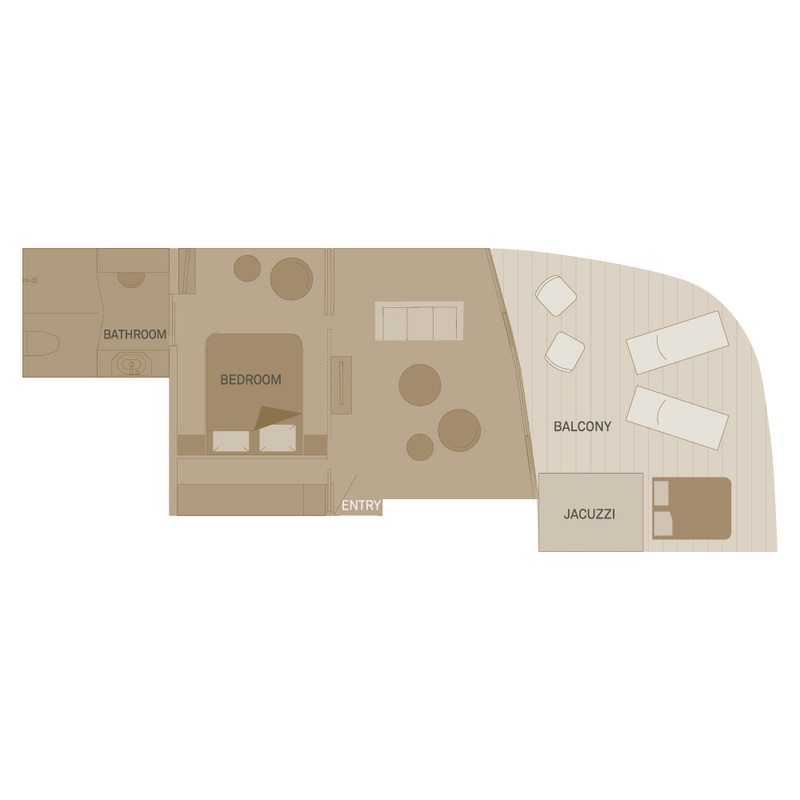 Helping you select the suite class that’s right for you, here you’ll find the complete deck plans for Scenic Spirit. The ship plans are colour-coded for your convenience, allowing you to locate the cabin of your choice and choose where you’d prefer to be based when journeying aboard this magnificent Asian river cruise vessel. At 80m²/861ft², this is the largest suite on the Mekong river. Being up forward on the Diamond Deck, enjoy fantastic views of the passing scenery from your private terrace with outdoor Jacuzzi and day bed. 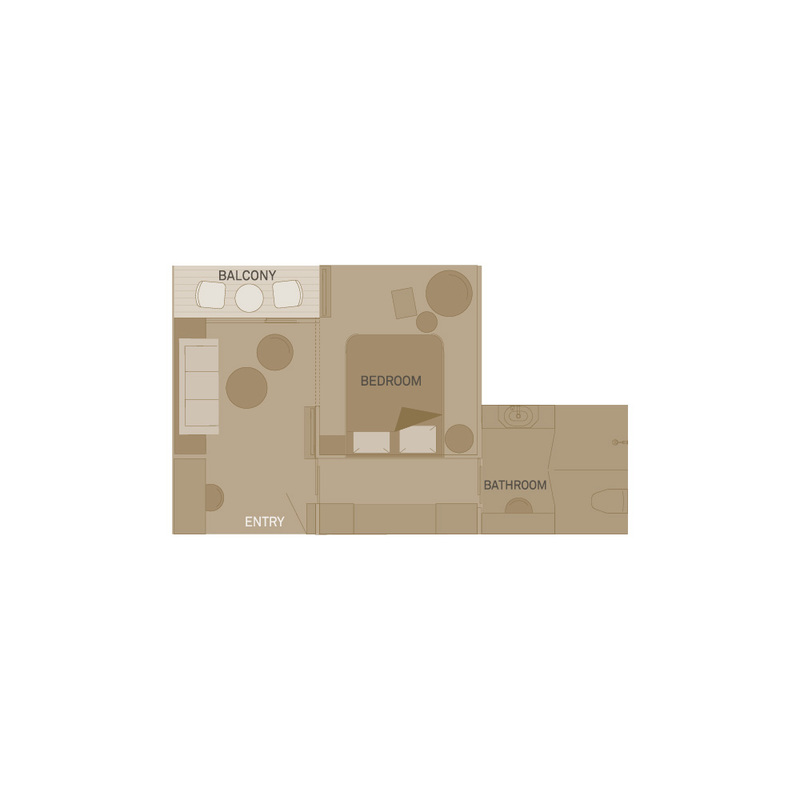 Both Suites have a separate lounge and dining area, walk-in dressing room and a luxurious oversized bathroom offering a separate bathtub, toilet and shower. These eight suites on the Diamond Deck are the ultimate in luxury at 40m²/430ft² with more space, impeccable service and thoughtful touches. Enjoy an outdoor balcony, separate lounge and dining area, extra-large walk in wardrobe and a luxurious oversized bathroom. These spacious Suites at 32m²/344ft² are located on the Jewel, Sapphire and Diamond Decks. Each have a private full-length balcony, walk in wardrobe and elegant en-suite bathrooms featuring a large vanity basin with a separate toilet and shower.